Paddles for use with General Purpose, White water and Surf Kayaks. Generally these paddles are around 190cm - 200cm long for better manoeuvrability on rivers and when doing different strokes. 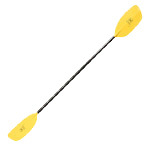 A tough, durable kayak paddle with an alloy shaft and plastic blades. Perfect for adults and kids just starting out. A durable, entry level alloy shaft paddle with plastic blades, great for anyone starting out in the sport. 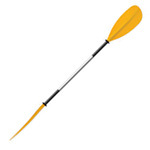 An excellent value for money paddle which is suitable for whitewater, surf and general purpose paddling. 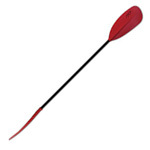 The Werner Rio is aMid sized river running paddle which offers the performance of a more top end paddle. The Sidekick is a powerful. large surf area blade which offers the best combination of power and responsiveness. Featuring mid sized, down tilt blades the Werner Player is a great choice for playboating and surfing. Powerful, full surface area blades which offers the responsiveness required for river and creek boating. The Werner Sherpa is a smooth and responsive mid size blade for river running and creek boating. The Werner Sho-Gun is the ultimate creek and river running paddle. 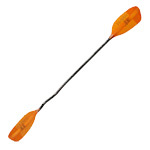 The Stikine's mid size blade design is powerful and fits a variety of kayakers. The Double Diamond is the ultimate paddle for serious play boaters.